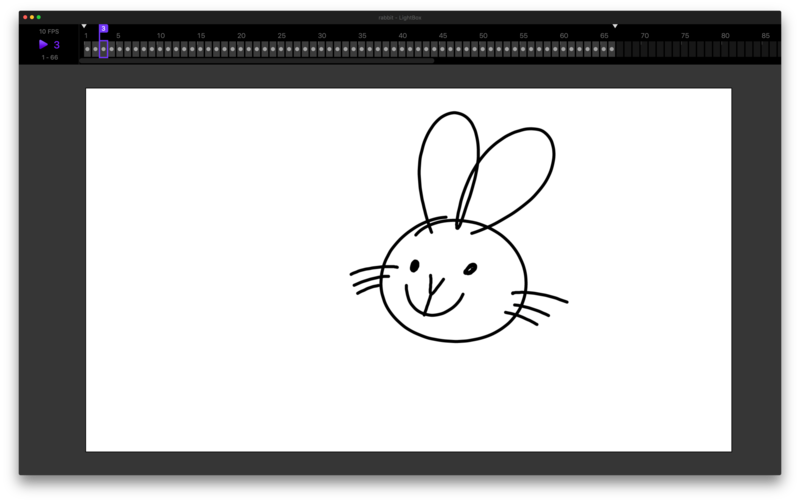 LightBox is a 2D, Hand-Drawn animation package. We recommend using it with a Wacom drawing tablet. Previous / Next Frame , . When you create a new project, the Overdraw lets you set some extra room to draw, outside the canvas. Renders MP4, GIF, & PNG sequence to the renders folder inside your LightBox project. To render your project, either use the shortcut (Command + R), or start the render from the menu (Render > Render Project). Commando will open, and the render will start. The sequence is automatically rendered with the same duration as your project in and out points. Once the render is complete, Commando will automatically open the renders folder. If you have any questions/ideas, email pasquale@thinko.com. Send us your creations.